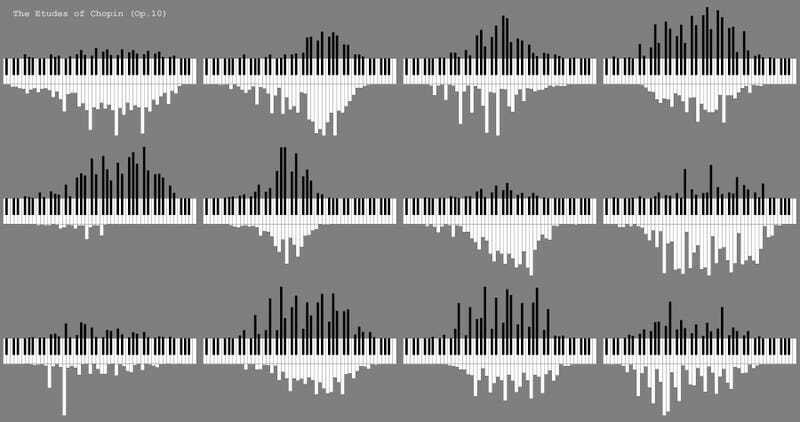 If you like classical music, Joey Cloud's Planogram is a fascinating tool to analyze the frequency of notes in different piano pieces. Above you can see Chopin's Etudes Op. 10. Listen to it below.